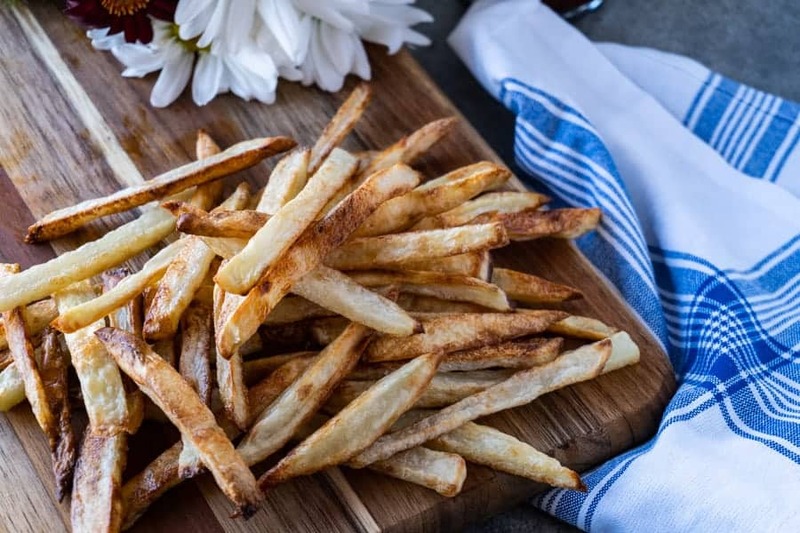 Homemade Baked French Fries, easy to make and deliciously crunchy! 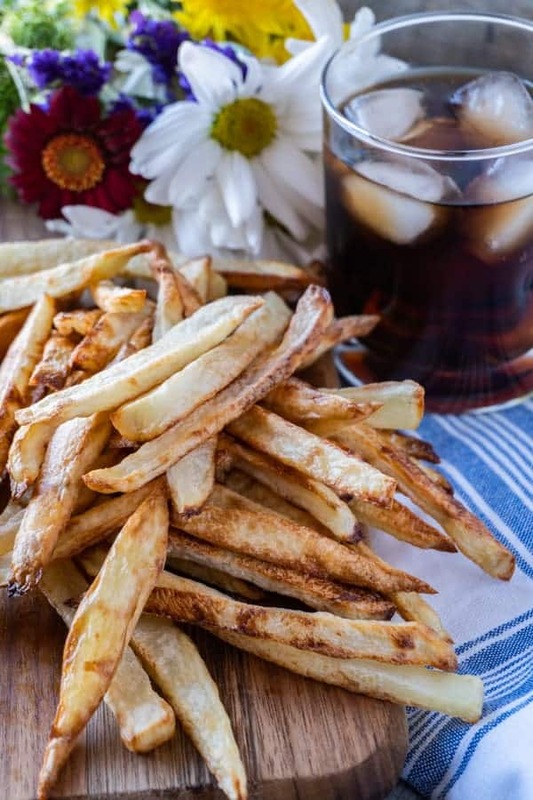 These homemade baked french fries are an easy and healthier alternative to the oil fried fries! I’ve had a love hate relationship with oven baked french fries. I love them because I don’t have to fry them but I hated them because they never get crunchy! Thankfully this is one recipe I had no trouble recipe testing. I got to eat lots of yummy fries! And now I have crispy oven baked french fries down and they are my favorite way to make French fries. How to make french fries in the oven? Rinse and peel you potatoes. Cut up potatoes into french fry strips. Cut too thick they won’t crisp, cut too think they will burn! Place cut potatoes in a bowl of cold water- for 20 minutes at least. After they have soaked for a little bit, pat dry and then toss in oil. Bake for 20 minutes, flip and bake for another 20 minutes. Have you ever wondered how to make french fries at home or how to make french fries from potatoes? Well wonder no more! 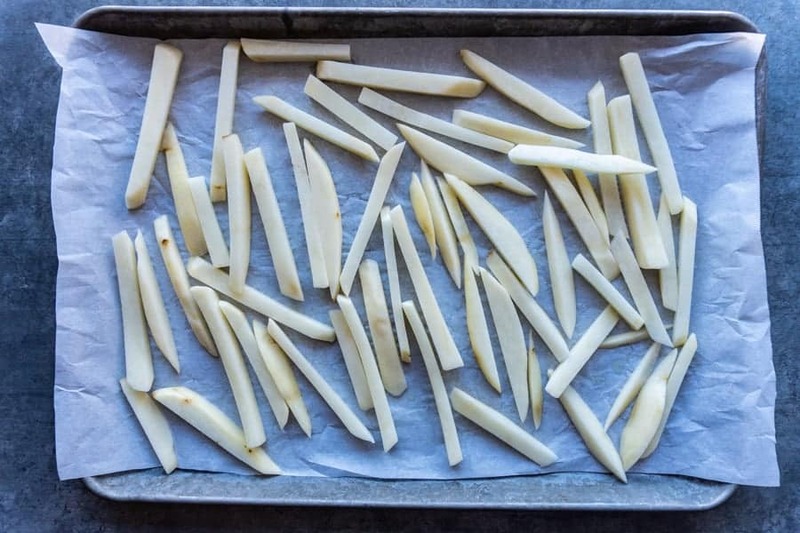 Why do you soak french fries before cooking? It helps remove some of the starch from the potatoes. Starch causes the potatoes to stick together and you don’t want that! However, since we are baking them it’s not as big a deal to get lots of the starch out as if we were frying them. I typically let the potatoes soak for the time it takes for the oven to preheat, but if you let them soak for an extra 10 minutes or so it does help! 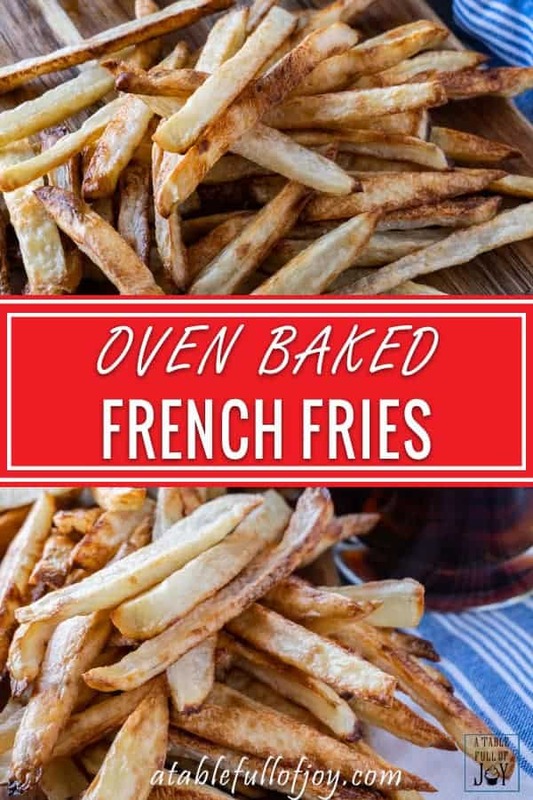 Oven Baked French Fries are so good and easy to make! I make french fries at least once a week because we love them so much. And we usually dip it in my homemade mayo. Might sound weird but my homemade mayo is so rich and delicious it tastes like a dip and not like a weird mayo. So it’s perfect for fries! If you like this recipe make sure to check out my ultimate burger, stuffed mushrooms, and easy mint julep recipe! 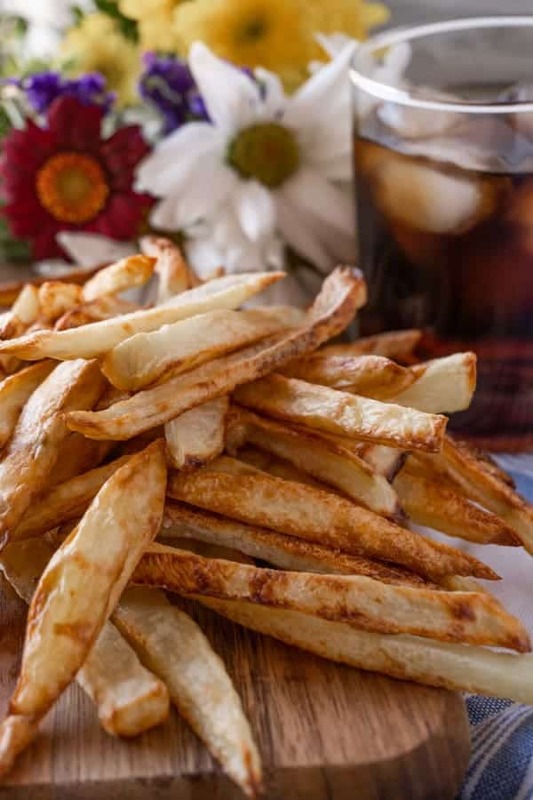 Homemade Baked French Fries, easy to make and deliciously crunchy! Rinse and peel your potatoes. Preheat oven to 425°F and line a baking sheet with parchment paper. Soak potatoes in cold water for 20-30 minutes, then rinse to get the starch off. Pat dry and then toss in the oil (2 tbs oil). Bake for 20 minutes, then flip the fries and bake for another 20 minutes or until browned to your desire. As soon as you remove the fries from the oven sprinkle with salt.